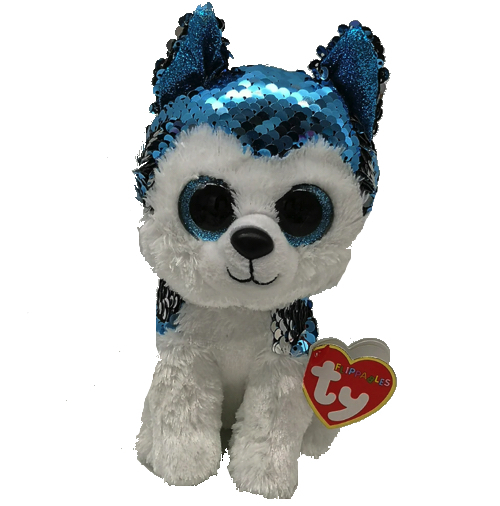 Slush is a husky covered in flippable sequins that alternate between blue and silver. He has large, glittery blue button eyes and a black button nose. His belly, muzzle and legs are all fuzzy and white. Slush was released in January 2019. His Birthday is on 30th April. This is the small 6″ Flippable version of the Slush Flippable. He was also released as a key clip. Slush was originally released as a Beanie Boo.